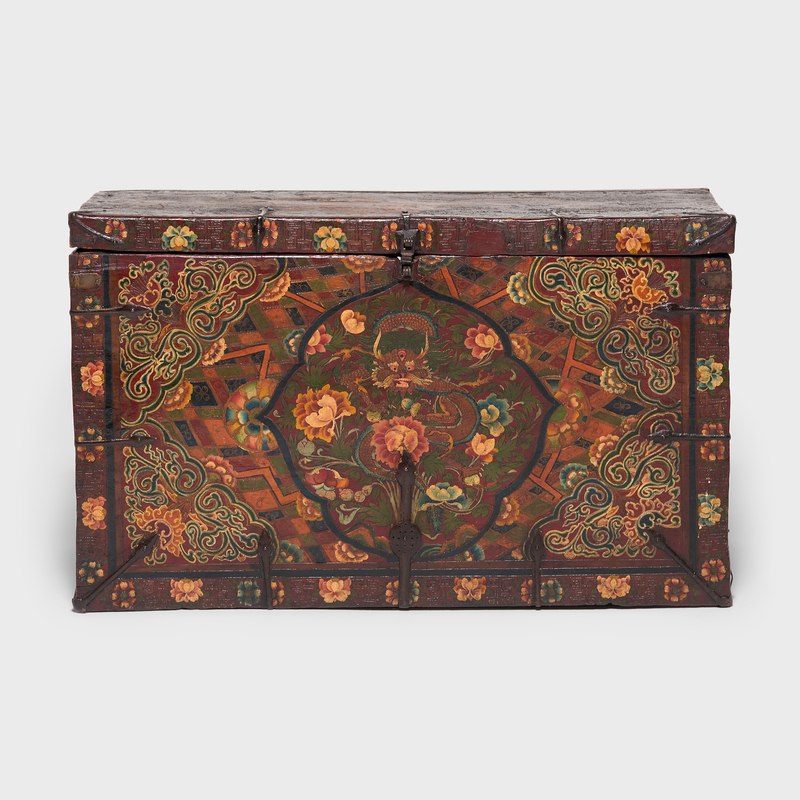 W: 37.25" D: 15.0" H: 22.5"
Ensconced in a cartouche filled with flowering peonies, a glorious dragon stares out from his heavenly realm on this brilliantly painted trunk. 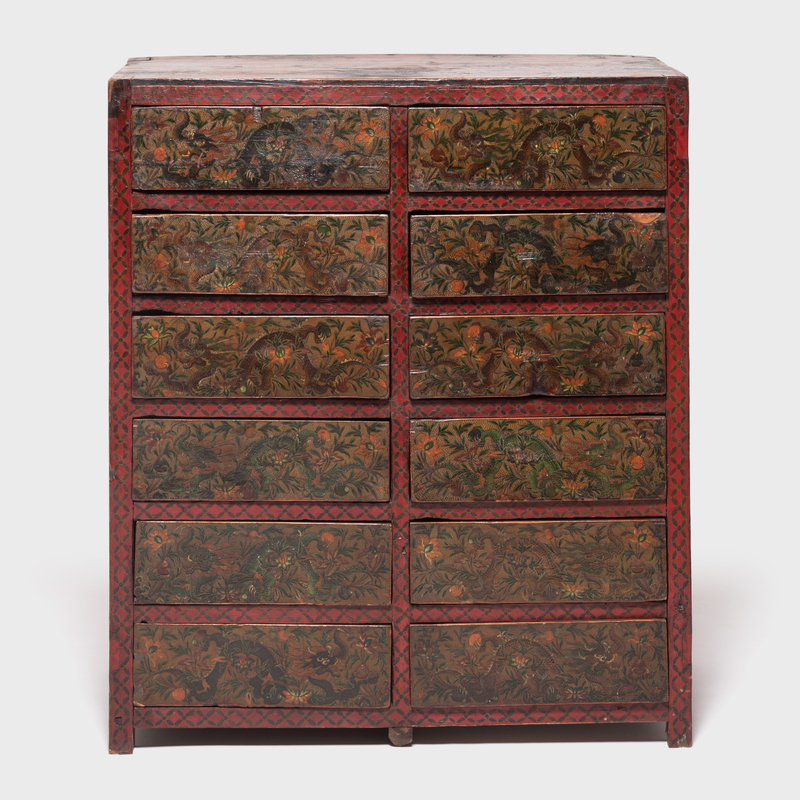 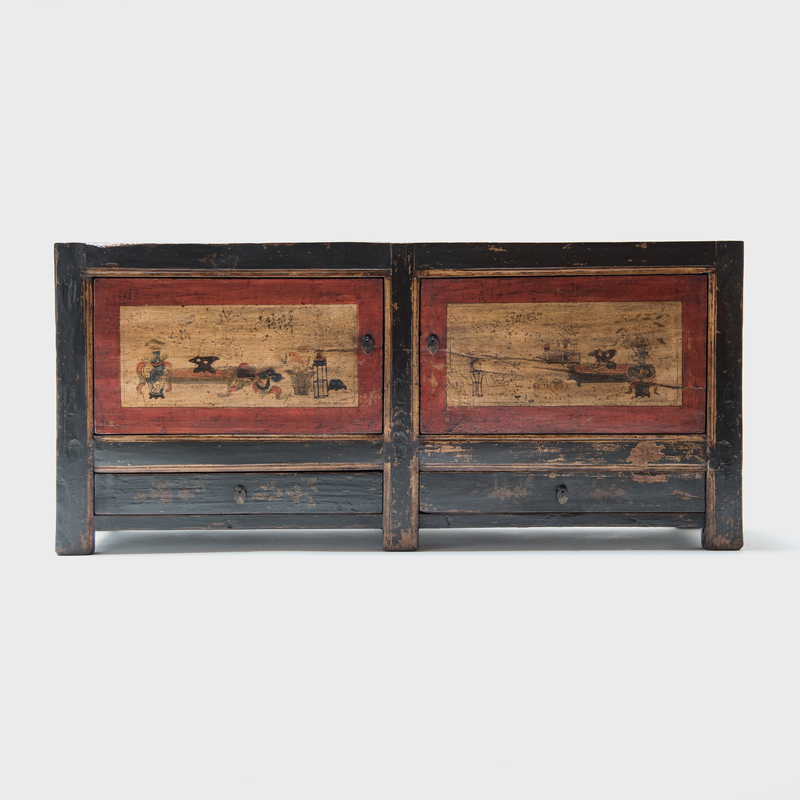 An early example of painted Tibetan furniture, the chest is lavishly decorated with emblems symbolic of the dragon’s enlightened nature, including lotus blooms and celestial clouds. 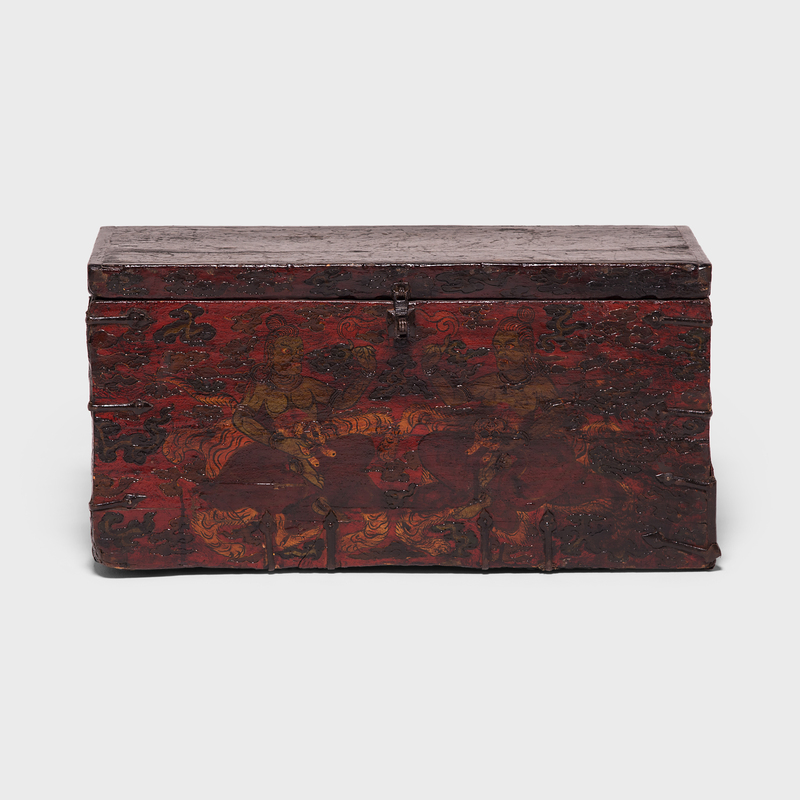 Raised outlines and layers of glossy lacquer catch the light, accentuating the trunk’s otherworldly subject matter. 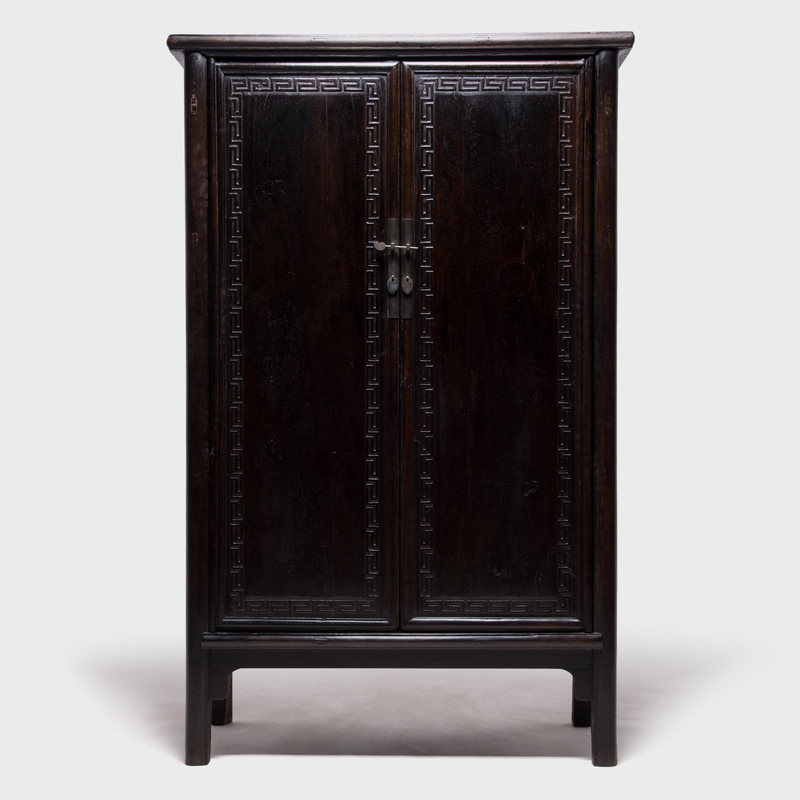 The extravagant decoration along with the elegant spear-like iron fittings add refinement to its otherwise rough-hewn construction.